The Viano String Quartet won Third Prize at the 2018 Wigmore Hall International String Quartet Competition, along with the Sidney Griller award for best performance of the compulsory work, "The Four Quarters" by Thomas Adès and the Haydn Prize for the best performance of a Haydn string quartet. During the 2018-19 season, the Viano String Quartet makes their debut at the SOKA Performing Arts Center on its Artists on the Rise series, as well as a return engagement at the Cerritos Center with NPR host Rob Kapilow on his What Makes It Great? series. Additional performances include a residency at Northern Michigan University, repeat performances of “Over the Top”, a Musical Encounter Interactive performance for children at the Colburn School, and multiple performances in Los Angeles as Quartet-in-Residence at the Santa Monica Conservatory of Music. 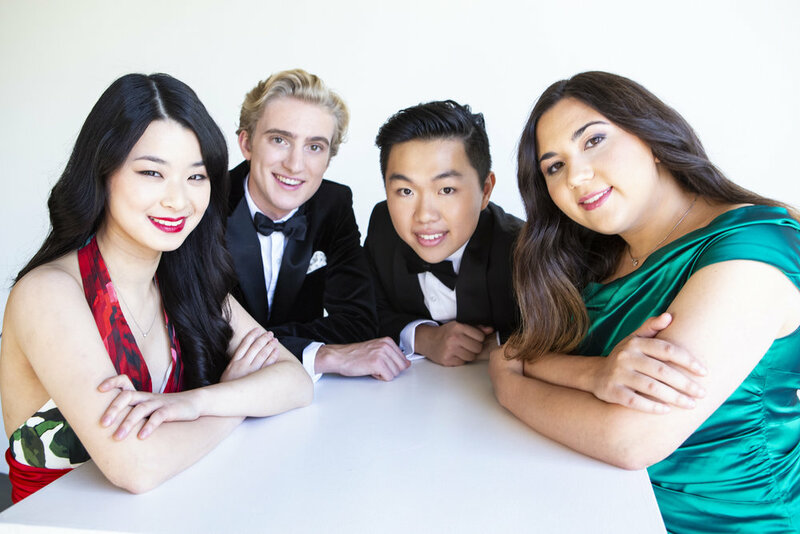 Formed in 2015 at the Colburn Conservatory of Music in Los Angeles, the quartet has performed in various settings in Los Angeles, including the South Bay Chamber Music Society and the Colburn Chamber Music Society. They have performed with world-class musicians such as Emanuel Ax, Eliso Virsaladze, Paul Coletti, and Martin Beaver. As firm believers in community engagement, the quartet participated in the “Play It Forward” Residency in March 2017, a collaboration between the Bellingham Festival of Music and the Whatcom Symphony Orchestra, partaking in its outreach initiative to reach schoolchildren in the northern Washington State area. The quartet works primarily with Martin Beaver, as well as other members of the Colburn School faculty, including Clive Greensmith, Paul Coletti, and Fabio Bidini. They have received coachings from artists such as David Finckel, Gary Hoffman, Arnold Steinhardt, Jean-Yves Thibaudet, and members of the Emerson, Brentano, St. Lawrence and Calidore String Quartets. They have attended the St. Lawrence String Quartet Seminar, and the Norfolk and MISQA summer festivals. The Viano String Quartet won the Silver Medal at the 2018 Fischoff National Chamber Music Competition and Third Prize at the 9th Osaka International Chamber Music Competition in 2017. The name "Viano" was created to describe the four individual instruments in a string quartet interacting as one. Each of the four instruments begins with the letter "v" and, like a piano, all of the strings working together as a string quartet, play both harmony and melody, creating a unified instrument, called the "Viano."